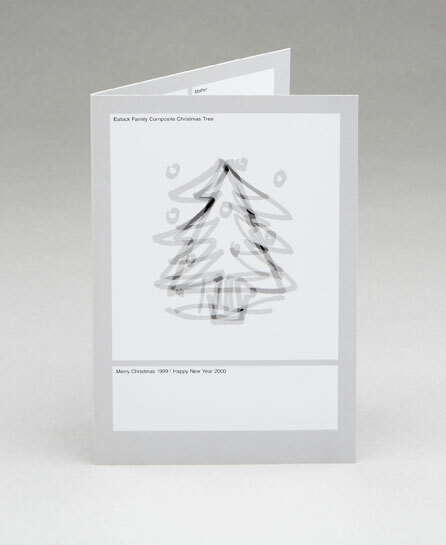 The composite Christmas tree depicted on the front of this Christmas card was created by overlaying four drawings by my Mum, Dad, sister, and me, shown individually on the inside of the card. 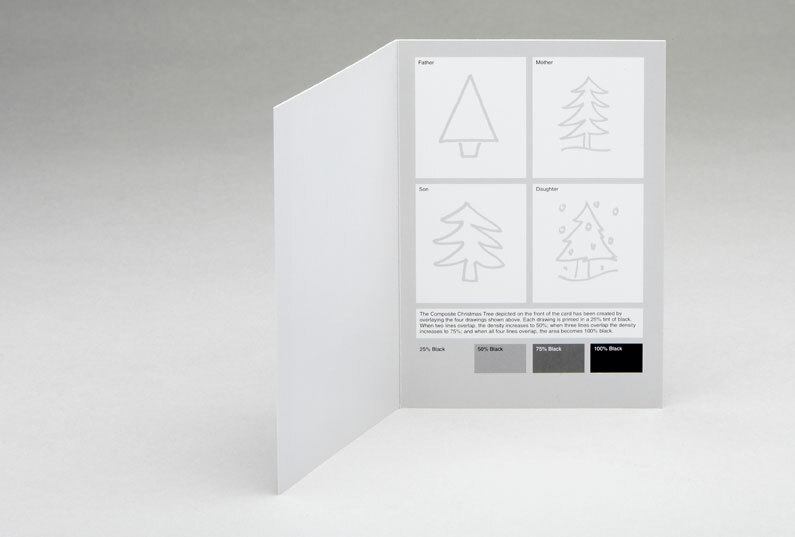 Each drawing is printed with a 25 percent tint of black. When two lines overlap, the density increases to 50 percent; when three lines overlap, the density increases to 75 percent; and when all four lines overlap, the area becomes 100 percent black.